Irene (San Francisco, United States) on 14 January 2012 in Miscellaneous and Portfolio. Photo taken January 10, 2012. 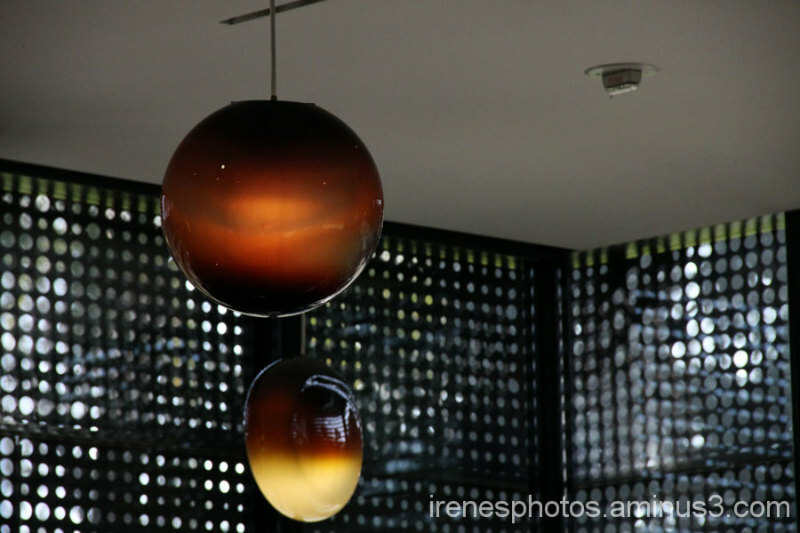 Nice lighting in the cafeteria of the de Young Museum. Well seen - a fascinating image and the grid shape of the background makes interesting contrast. I like this title. The globes have very interesting color and shapes. Nice shot. @Slackwater Don: Thank you Don. The background adds interest to it. @Michael Rawluk: Thank you Michael. Those are cool looking fixtures...Nicely spotted. Interesting image, nice colors !! !